It's Chewy from the planet Kashyyyk! 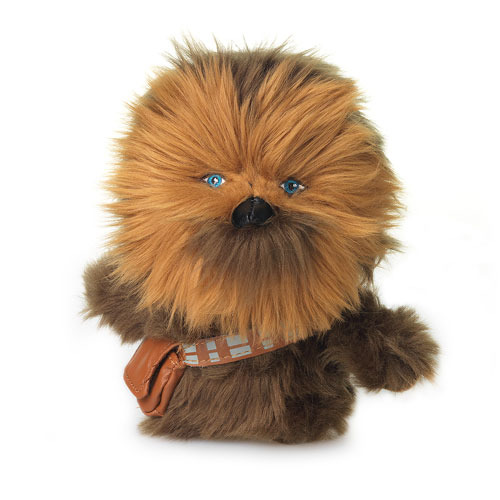 7-inch plush of Chewbacca from Star Wars. Have you hugged your Wookiee today? That is one wovable wittle wooly Wookiee! This adorable, 7-inch tall Chewbacca Super Deformed Plush features an irresistible-- albeit somewhat unlikely-- likeness of everyone's favorite furry fighter from the planet Kashyyyk. Have you hugged your Wookiee today?